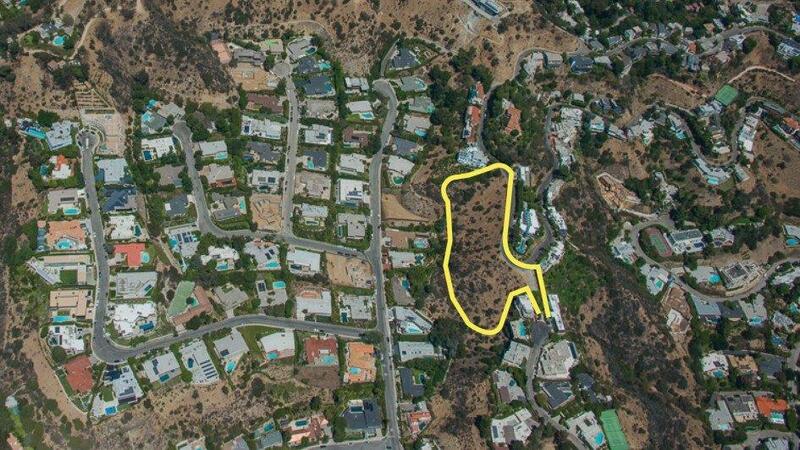 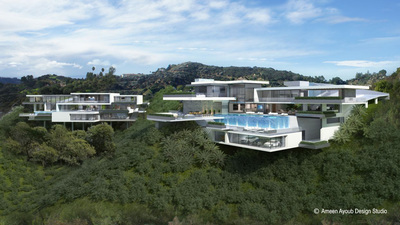 The premiere development site The Agency is selling in one of the world’s most exclusive areas. 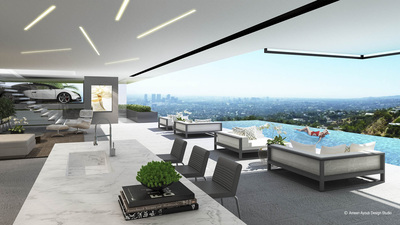 Located high above the Doheny Estates and the renowned Bird Streets, it has unrivaled views of the Pacific Ocean and entire LA basin. 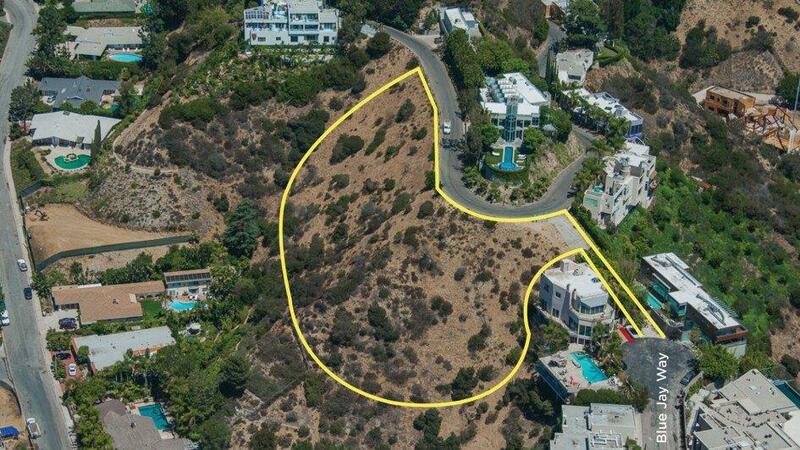 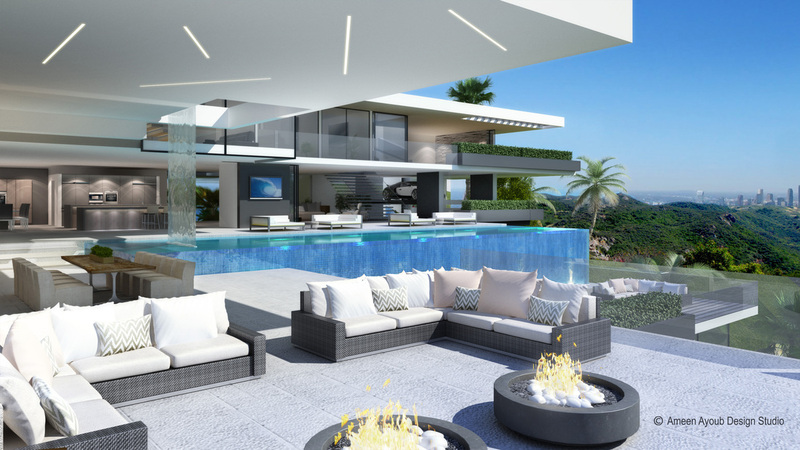 The site has the potential to develop multiple ocean view estates and is ideal for an Owner/Builder or a Developer who yearns for the ultimate combination of astonishing views in an A-List location. 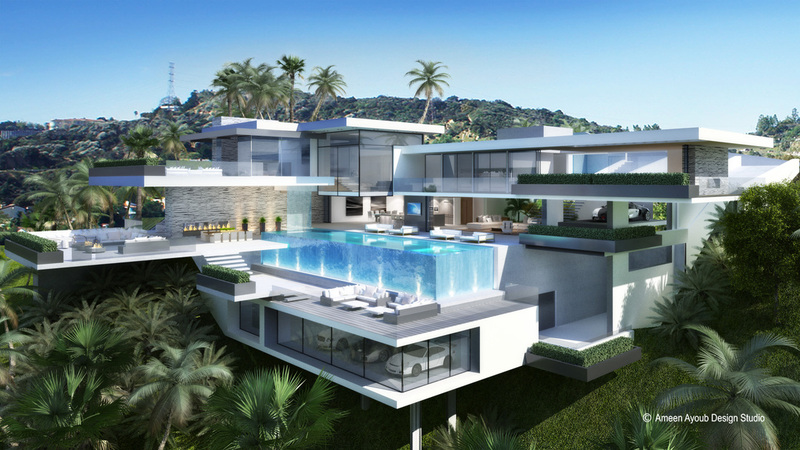 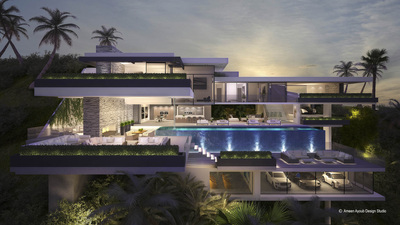 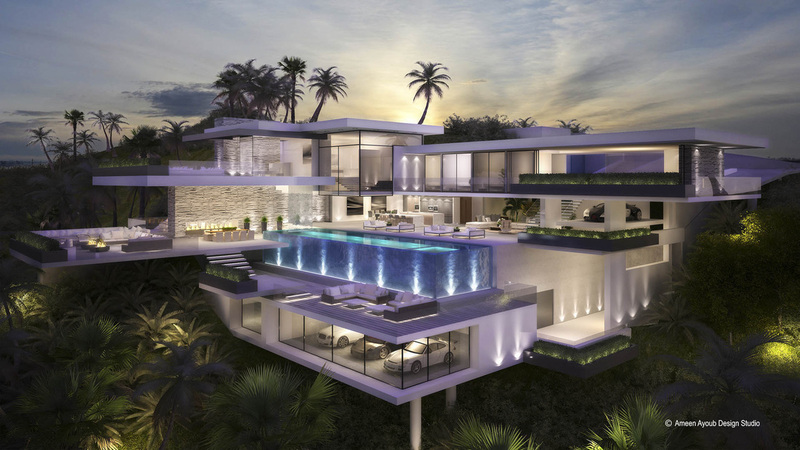 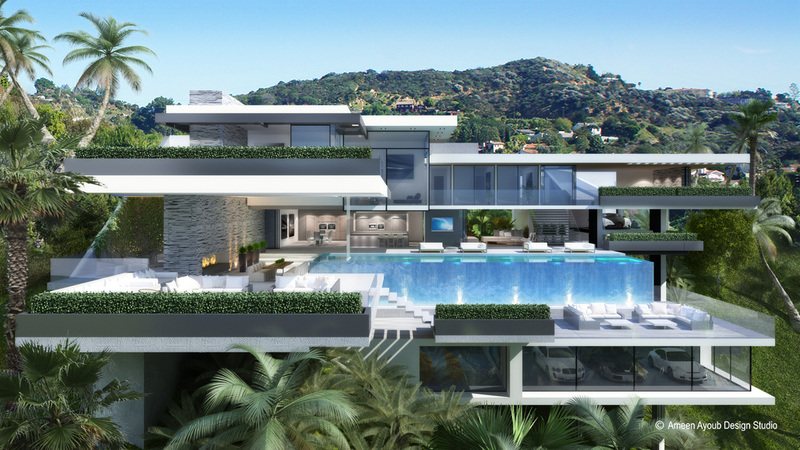 Ameen Ayoub Design Studio created two stunning examples of enormous drool-worthy homes to sell the large lot at 2251 Sunset Plaza. 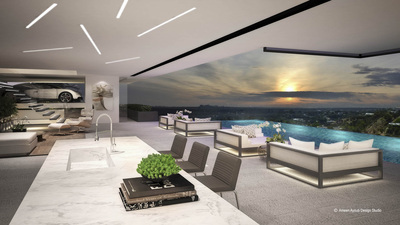 The imagined homes contain all the ‘wow’ factors we’ve seen in modern home designs of late. 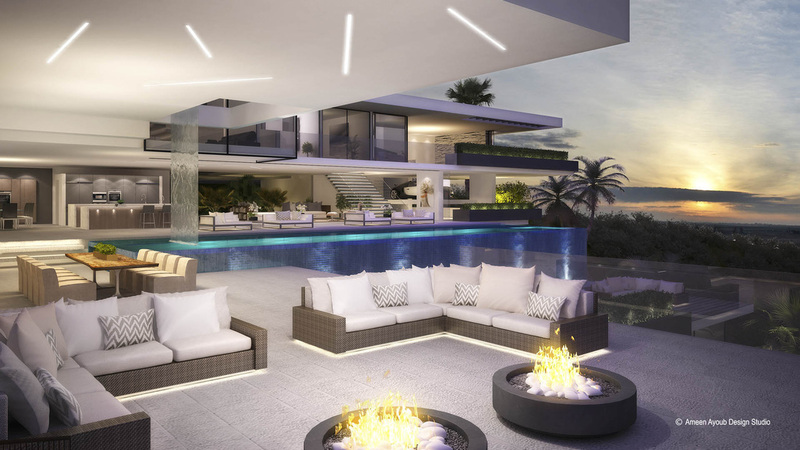 Glassed in garages, spillover pools, sliding walls that open the indoors to the outside, personal gyms, flat screen tvs and large decks from which to view the surrounding areas.